Whilst class 37/0 locomotive D6975/37275 (click here for more) was in action during my last visit to the South Devon Railway (click here for more), upon exploring Buckfastleigh I soon found that it was one of a number of heritage diesels to be found on the site. This allowed for the opportunity to practice my class recognition skills! We start with Sulzer Type 2 / class 25 D7612 in BR two-tone green with yellow warning panels. This locomotive is owned by South Devon Diesel Traction Ltd who have a great website (click here) that is well worth checking out to find out about the history of their locomotives. D6975 is one of two class 25 locomotives to be found on the line, the other being D7541 (above). 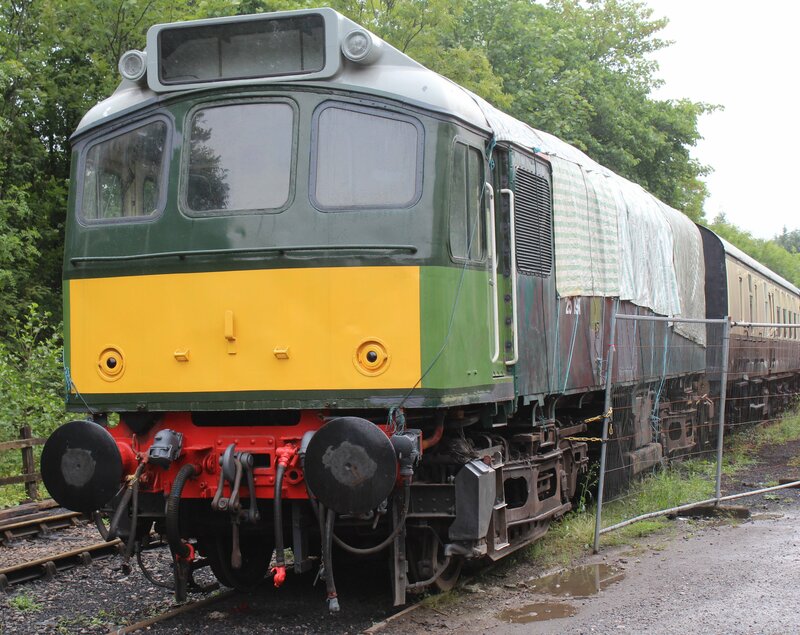 Another of their locomotives can be seen tucked behind the class 09 diesel shunter in the picture above – BR Class 122 Bubblecar DMU W55000. 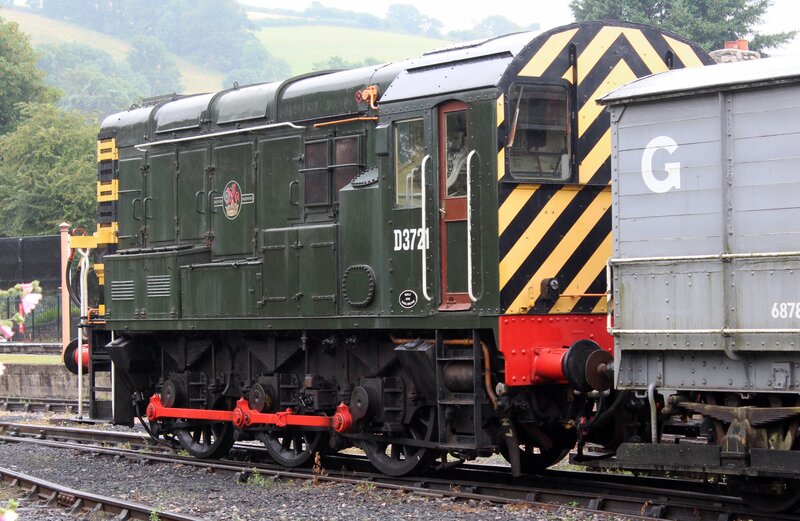 The class 09 shunter is a relatively rare class of diesel shunter that looks virtually identical to the class 08. 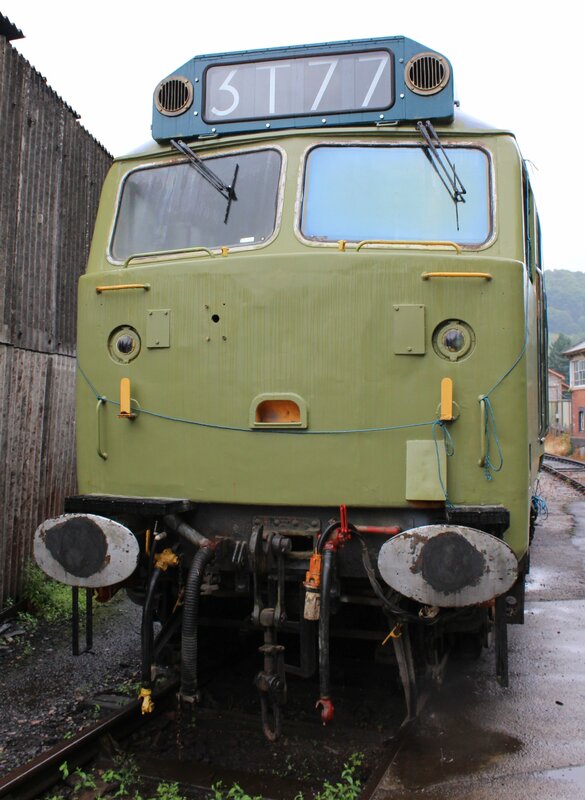 Only 26 class 09 diesel shunters were built, opposed to 996 class 08. The class 09 gears traded pulling power for a higher top speed (the class 09 can run up to 27MPH whilst the 08’s were limited to 15MPH). Above and below we jump to another extreme of power, a class 50 (type 4) diesel BR D402 (50 002 Superb). 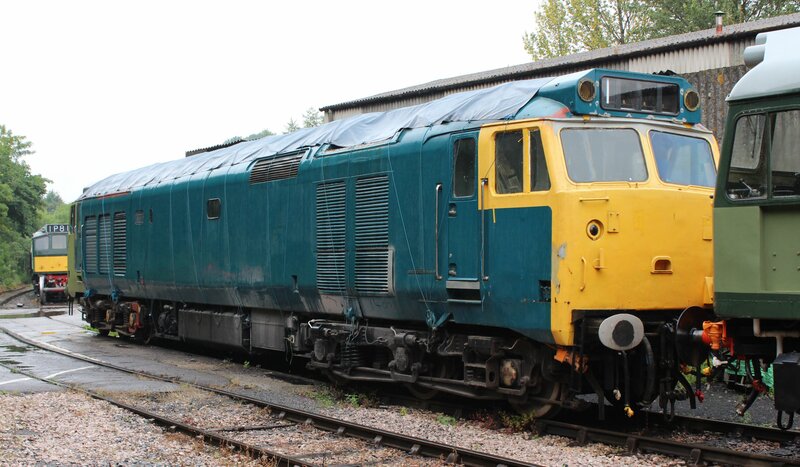 The class 50 are very powerful machines that unfortunately were quite unreliable in service. They are nevertheless popular locomotives with 18 of the 50 built surviving into preservation. D402 is owned by he Devon Diesel Society who have a wonderful website worth checking out (click here to connect). 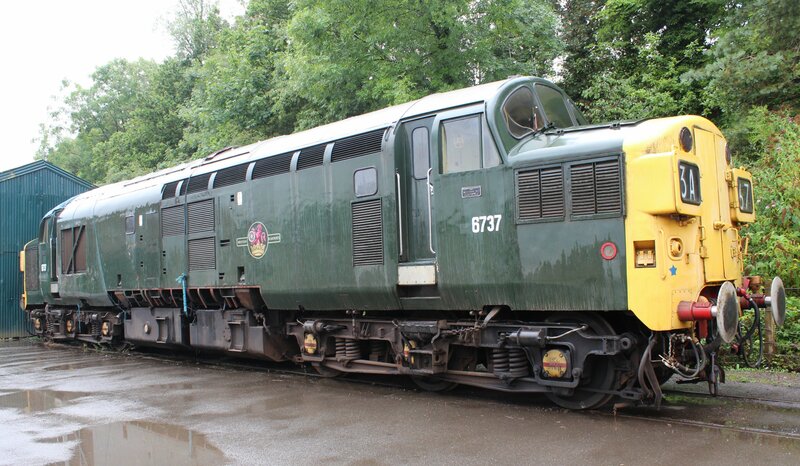 We now go full circle to a class 37 locomotive, also owned by the society – D6737. 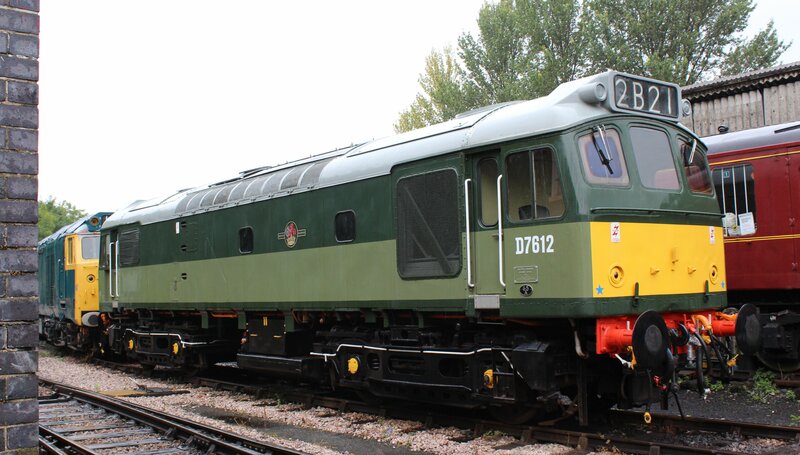 It’s original BR green livery is not the only thing that differentiates D6737 from the previously reported class 37, another noticeable difference is the split headcode that indicates that it was part of the early batch of the type 3. Yet again it is amazing to think that Buckfastleigh was once a quiet backwater of the GWR and BR. It is now home to an impressive fleet of locomotives, including a number of heritage diesels. 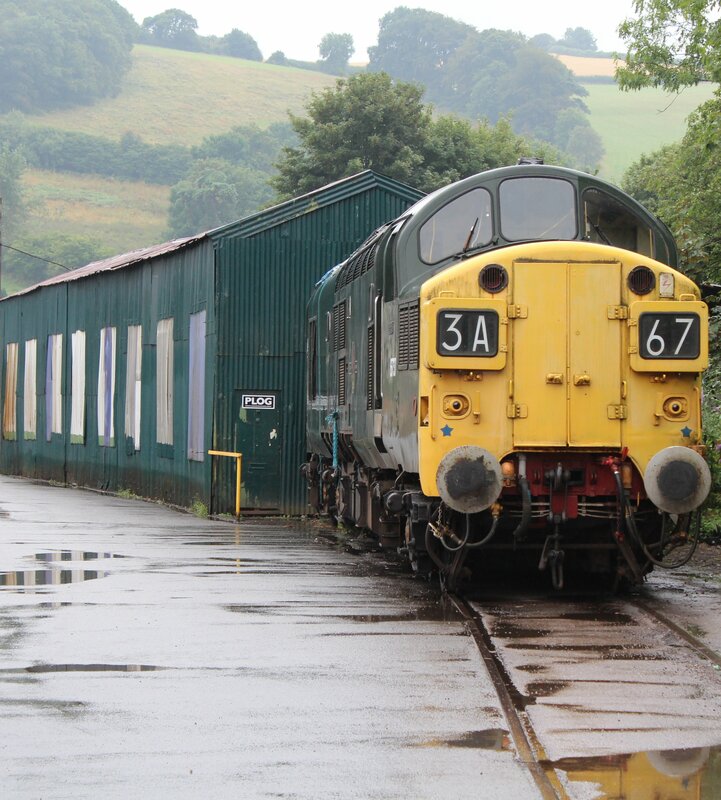 In case you missed it, don’t forget to check out my first blog post of this visit to the South Devon Railways (click here to connect). 01/09/2014 in South Devon Railway. Always liked that two-tone green livery. I do too, it works well! Green diesels are my favourite, way better than the blue livery in my opinion. I actually learnt something new today… the difference between the Class 08 and Class 09. Thankyou.